£3,273 was raised by 59 supporters — that's teamwork! We shot the film. Now we need your help to finish it. Bryan Cranston (Trumbo, Breaking Bad, Malcolm In The Middle), Joely Richardson (101 Dalmations, The Patriot, Nip/Tuck, The Tudors), Jack Dee (Lead Baloon, Bad Move) and John Douglas Thompson (Bourne Legacy, A Most Violent Year, The Immortal Life of Henrietta Lacks) all star in Robert Gilbert (Ready Player 1, UNCLE, Gulliver's Travels) debut short film 'Real Thirsty'. We're so grateful to everyone who has invested their time, expertise and money so far. We're 75% of the way there and now we need your help to get the last 25% and finish the film. In the age of social media and self promotion, everyone knows the feeling of seeking for recognition. Sometimes that desire can go to far. This is how Rob felt when working with Bryan on Network at The National Theatre. He decided to write about his dalliance with celebrity obsession and take the risk of telling Bryan about it by showing him the script. Thankfully, instead of issuing a restraining order, Bryan agreed to be in the film! We're so thankful to our contributors of locations, equipment and services. 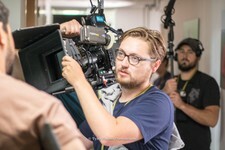 The National Theatre, ITV, The Public Theatre NY, Hornsey Town Hall, Procam and The Farm. 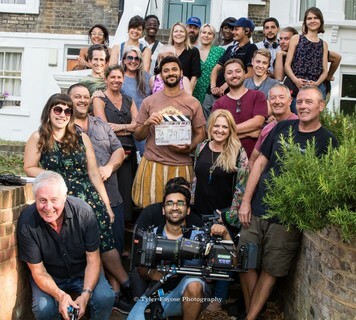 The result: a 21 minute short film featuring a starstruck new film director and four very tolerant and extremely generous stars, this film now needs your help to get it into the world at large. With the kind donation of services and time from so many people we have made it to 75% completion but there is only so far we can get without some cash. Money donated through this page will push the film over the finish line. 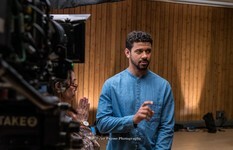 We are currently in post production and need money for the offline edit, additional dialogue recording, poster, a logo, digital marketing imagery and to pay application fees for festivals. 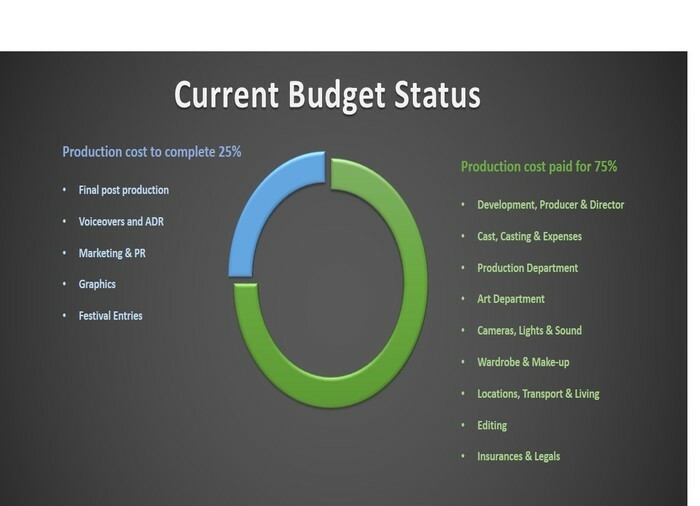 See below for a breakdown of our production budget. Digital Download of REAL THIRSTY. An 'Executive Producer' credit in the Film's closing titles... or if you prefer a 'Special Thanks To....' credit. Plus come to our London screening and choose a selection of three merchandise items.